After being snubbed by Hockey Canada last year for a slot on its junior national team, Sault Ste. Marie Greyhounds defenseman Darnell Nurse achieved a “How You Like Me Now” moment Monday night at the 2015 International Ice Hockey Federation World Junior Championship. Nurse, a 2013 Edmonton Oilers first-round draft pick, was named Canada’s player of the game in Monday night’s 5-4 victory over Russia in the tournament’s Gold Medal game in Toronto. Defenseman Darnell Nurse has a monster IIHF tournament for Canada (Matthew Murnaghan/Hockey Canada Images). In addition, he was named one of Canada’s best three players in the tournament along with Max Domi, a forward for the London Knights of the Ontario Hockey League and a 2013 Arizona Coyotes first-round draft pick, and Sam Reinhart, a forward for the Western Hockey League’s Kootenay Ice and a 2014 Buffalo Sabres first-rounder. Monday’s win ended a five-year gold medal drought for Canada at the tourney for players under 20 years old, and the 19-year-old Nurse was a key component in the team winning the gold without a loss. Monday night represented Mission Accomplished for Nurse. The nephew of retired Philadelphia Eagles quarterback Donovan McNabb vowed to make Team Canada after not being named to the 2014 squad, a move that even stunned “Hockey Night in Canada” commentator Don Cherry. Nurse is captain of the OHL’s Sault Ste. Marie Greyhounds. The 2014 Canadian team finished fourth at the tournament played in Malmo, Sweden, and failed to medal. Nurse appeared in two games for Edmonton in 2014-15. As for Nurse, he took the snub and being cut in training camp by Edmonton in 2013 hard. He used those experiences and being sent back to Sault Ste. Marie after playing two games for the Oilers this season as fuel to make Team Canada this year. And play he did. Nurse had one goal, no assists, and a plus-minus of +8 in seven games. He also got off 10 shots, several of them missiles fired while rushing the puck up ice. Opponents didn’t score while he was on the ice. Apparently, there’s something about playing Russia that brings the best out of the Nurse family. Sarah Nurse, Darnell’s cousin and a forward for the University of Wisconsin women’s hockey team, scored a goal for Canada’s National Women’s Development Team in a 5-1 win against Russia Sunday at the 2015 Nation’s Cup tournament in Germany. When Team USA and Team Canada prospects gather for pre-Olympics orientation camps next week, some of the National Hockey League’s best players of color and Native heritage will be in the mix to represent their countries in Sochi, Russia in February 2014. Winnipeg Jets defenseman Dustin Byfuglien. 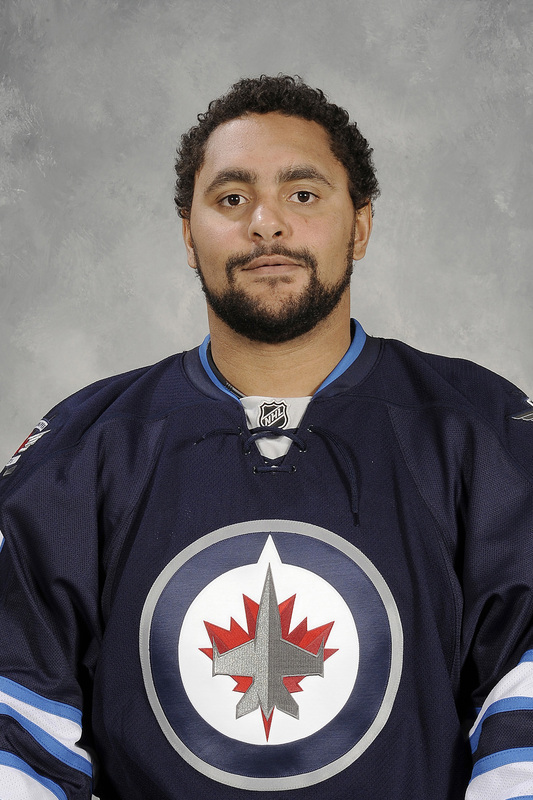 Three players of color were among the 48 invitees to the U.S. camp: Winnipeg Jets defenseman Dustin Byfuglien, from Roseau. Minn.; New York Islanders forward Kyle Okposo, a St. Paul, Minn., native; and Nashville Predators rookie defenseman Seth Jones, born in Plano, Texas. USA Hockey will hold its orientation camp Aug. 26-27 at the Kettler Capitals Iceplex in Arlington, Va., the practice facility for the Washington Capitals. Two players of Native heritage players received camp invites. 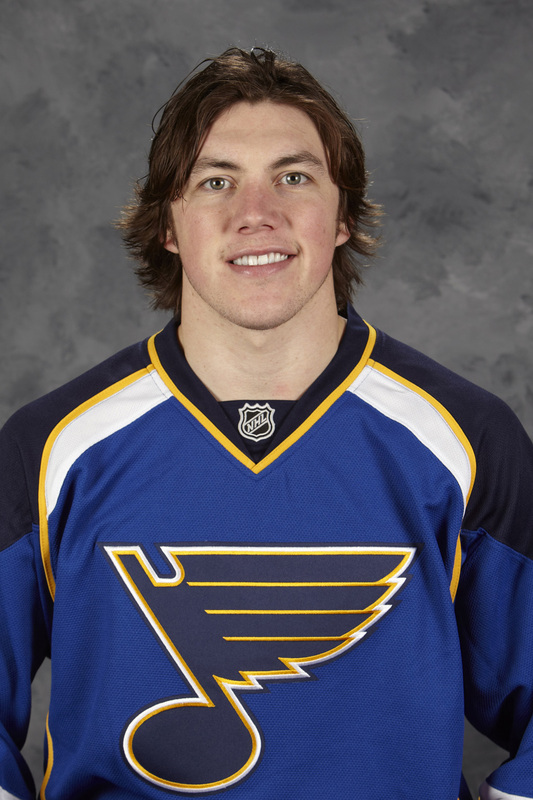 St. Louis Blues forward T.J. Oshie, who is part Ojibwe (Chippewa), will join the U.S. invitees at the Kettler facility. Montreal Canadiens star goaltender Carey Price, whose mother is a former chief of the Ulkatcho First Nations, will attend Team Canada’s orientation camp. Blues’ T.J. Oshie hopes to be in Sochi in February. The U.S. camp boasts an offensively potent roster that mixes youth, talent, and international experience with forwards Oshie, Patrick Kane of the Chicago Blackhawks, and Paul Statsny of the Colorado Avalanche. The defensive corps has size and nastiness with the likes of Byfuglien, Jack Johnson of the Columbus Blue Jackets and Keith Yandle of the Phoenix Coyotes. Montreal Canadiens defenseman P.K. Subban headlines a deep 47-player Team Canada orientation camp roster that includes Pittsburgh Penguins forward Sidney Crosby, Tampa Bay Lightning sniper Steven Stamkos, Chicago Blackhawks forward Patrick Sharp and the Brothers Staal: forwards Eric and Jordan of the Carolina Hurricanes and defenseman Marc of the New York Rangers. Team Canada will hold its camp August 25-28 in Calgary. Among the other international teams participating in the Winter Games, Team Sweden invited Chicago Blackhawks defenseman Johnny Oduya to its camp. With teams able to pick from the best hockey players in the world, some highly-talented NHL skaters didn’t receive camp invites. Notably absent for Team Canada were Winnipeg Jets high-scoring forward Evander Kane and Nazem Kadri, the Toronto Maple Leafs forward who had a breakout year last season that helped the Leafs end a long playoff appearance drought.The start of the camps begins the biggest mystery for both teams: who will be the goalies going to Sochi? Team USA invited six netminders: Jonathan Quick of the Los Angeles Kings, Cory Schneider of the New Jersey Devils, Jimmy Howard of the Detroit Red Wings, Craig Anderson of the Ottawa Senators and the Buffalo Sabres’ Ryan Miller, who backstopped the U.S. team to a Silver Medal at the 2010 Winter Games in Vancouver.But the most intriguing competitor for one of the Team USA three goaltender slots is John Gibson, the 20-year-old Anaheim Ducks draftee who played last season for the Kitchener Rangers of the Ontario Hockey League. 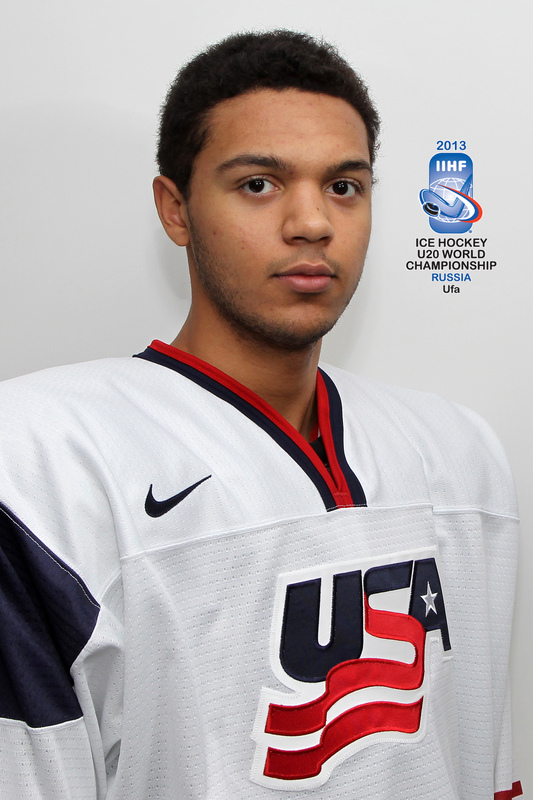 Seth Jones (Photo: USA Hockey). 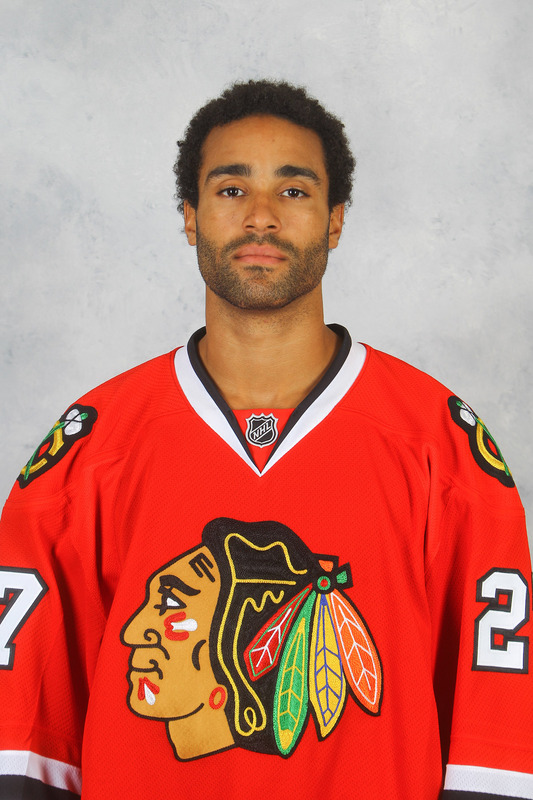 Johnny Oduya hopes to represent Sweden in Sochi. Gibson supplanted Tampa Bay Lightning goaltender Ben Bishop at the International Ice Hockey Federation World Championship in Helsinki and Stockholm last May and guided the U.S. team to a Bronze Medal. He has a solid international pedigree, having guided U.S. under-20 teams to Gold Medals at the IIHF Junior World Championships in 2013 and 2011. Montreal’s Carey Price vies in a crowded net for Olympic spot. Canada also must untangle its net. Hockey Canada’s brain trust will have to choose from the Chicago Blackhawks’ Corey Crawford, Braden Holtby of the Washington Capitals, Montreal’s Price, Mike Smith of the Phoenix Coyotes, and Vancouver Canucks’ Roberto Luongo, who was the winning goaltender in the Gold Medal game against the United States at the Vancouver Games.